The main news for 2018 is that golf lessons will be offered in a pack of three rather than an individual 30-minute golf lesson. Over the last five years, I have asked golfers that I coach periodically about their goals and were their achieved? 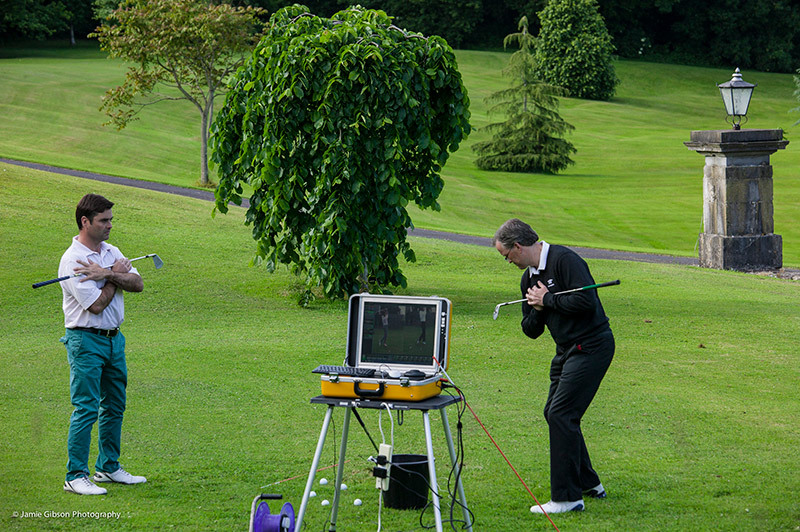 Specifically, the golfers that have received three golf lessons or more has significantly improved how they play golf. Therefore, my number one motivational reason to coach golf is to help golfers to reach their goals. During that time I have gained more knowledge, used various technologies and coaching methods to support the coaching activity. The following fictitious golf personas I created to explain further where my coaching packages can fit into golfers situations. Please note that every golfer is different and the point about coaching plans is to make each coaching plan specific to the golfer. Also, I have updated my website with a new range of coaching packages that reflects my golf coaching services. Please do CLICK HERE to read more about the lesson packages. Frank is 35 and has limited time available to him to play and practice golf. Frank is playing off a handicap of 16. His primary goal is to lower his handicap, and a sub-goal is to win a club competition. During our introduction and conversation, he mentions that he has issues with his driving and he would like more consistency off the tee. Typically, the three lesson package would be focused on his swing technique but in three different areas. Lesson; working on his golf swing technique and but using his driver. Lesson; working on his golf swing technique and using 8,9 & wedges, plus pitch shots. My goal here is to improve his golf swing technique whilst practising different golf disciplines. Joan is 45 and is now starting to play more golf. Joan is playing off a handicap of 29, and she would like to play in the various club teams that she has avoided for a few years. Joan’s short game tends to be a problem under pressure, and she finds that she is wasting too many shots around the green. Lesson; work on her bunker play. Lesson; the plan would be to work on either or both chipping and pitch shots. Lesson; putting, distance control and better putting technique. Our goal here is to improve her short game and spend time working on reassuring Joan that her short game is excellent and ready to win. Liam is around 70 years old and retired. Liam’s primary goal is to gain a few extra yards off the tee. He is paying off a handicap of 13 and would like to be competitive against his pals. Liam has marked out that his distance off the tee is a significant problem. This persona is a difficult one because as we age, our bodies slow down, bit by bit. Notably, I would suggest in any case for anyone over the age of 50 to be actively working weekly with a personal trainer. Golf Lesson; working on his golf swing technique, driver and hitting the ball solidly. Golf Lesson; working on practice routines to improve golf swing technique. Golf Lesson; working on pitch shots and full swing practice routines. Indeed, each golfer’s situation is different, and everyone would like to hit the ball further. But, striking the ball with all your might is not the answer. As more times than not, that massive force will lead to more miss hits. Let’s look at the short game. Indeed, a tidy putter action is essential and working on pitch shots & etc. My Goal here is to move the golfer’s focus from distance to hitting the ball more centred and improving his short game. Jimmy is a three handicap golfer, he is entirely golfing mad, and Jimmy has played golf all his life. Jimmy uses all sorts of technologies to record various statistics from his golf competition rounds. He would love to lower his handicap further to play on his Golf Club’s Senior & Barton Shield teams. Also, he would like to play in a number of the Irish Amature Golf Championships at some stage in the future. A great place to start is by analysing Jimmy’s competition data over a three & six month period. From that information, it’s easy to identify the various trends and point out these are the skills to practice. The context of the three golf lessons would be based on those findings. Such as, after conversations about how he plays., his pre-shot routine is different and never really quite the same for each shot. Also, the miss hit shots struck above the sweet spot often land short of the green. Finally, his decision making on course is too aggressive which leads Jimmy aiming for every flag positions. Resulting in too many glory shots that end up with bad lies and difficult chips shots. Golf Lesson; Making his swing path shallower angle of attack and an accurate ball strike. Jimmy’s goals are to lower his handicap and post better scores from his competitive rounds. We have identified what the problems are and we would create specific practice plans to deal with each area. Also, since Jimmy is very good at recording his golf data, it will be essential to measure and compare his progress. When a golfer can identify his or her golf game weaknesses accurately. Then, it is a lot easier to work out what to practice and how to do that. The critical part is collecting golfing data. Such as, the number of shots that you play, how many greens hit, how many putts taken and how many ups & downs during a competition round. That can be done by customising an excel workbook and using that book for logging that information. Also, there are technologies like the golf game can also do that for you too. Please do CLICK HERE to read more about the lesson packages. Also, please do contact me if you have any questions or concerns.